Wade Keller from ProWrestling Torch and Steve do a little Monday Night RAW and Smackdown analysis! 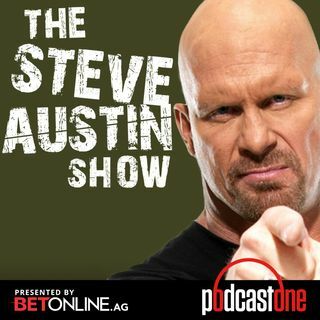 Hear their take on the Brock Lesnar-Samoa Joe pull apart, why this might be the perfect time for an angle that involves more than just Suplex City for Brock, and what Samoa Joe's skill set can dictate in the ring. They also speculate on a possible Bayley heel turn, Roman Reigns' upcoming big announcement, John Cena's free agent status, and what Sami Zayn's win means for his ... See More future. Plus, they have thoughts on Jinder Mahal's exaggerated snarl, Bray Wyatt's laugh, and the comedy pop offered by Tyler Breeze and Fandango. And there's a little breakdown on the just-announced Floyd Mayweather-Conor McGregor boxing fight!